I recently bought a new laptop and was overwhelmed with the choices available. The last time I bought a computer in 2014 there was considerably less to choose from. This time round, there was one type of device that caught my eye and that’s the 2-in-1 notebook and tablet. Sadly, my budget wouldn’t allow for that but I was lucky enough to get the chance to test one for review here on OxGadgets. I was sent the Dell Latitude 5289 2-in-1 to try. 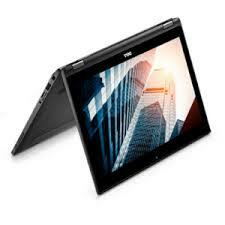 The Dell Latitude 5289 2-in-1 is a 12” notebook and tablet in one compact device that is being touted as a perfect choice for business. 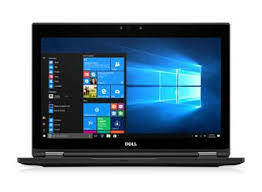 There are four different specifications to choose from with all having a 7th Generation Intel Core i3 processor and Windows 10 Pro as standard. The cheapest model has 4GB LPDDR3 1866MHz of memory while the rest have 8GB LPDDR3 1866MHz. They are all touch enabled, as you would expect with a 2-in-1 device and they all come with a 30-day trial of Microsoft Office. It’s designed to be resistant to shocks, dust and extreme temperatures but since this was a loan item for review, I didn’t expose it to any of those and we’ll have to take their word for it. My first impression was that it’s a really attractive device. It has a soft feel on the outside and the screen has vivid colours. The audio quality is good but it was the image quality that grabbed me. It switches on using a small button at the side that has to be depressed for a couple of seconds which threw me since my current computer takes just a short press to activate. There are two 360-degree hinges on the Latitude 5289. This being my first experience of using a 2-in-1, I was a bit apprehensive about flipping the screen over to put it into tablet mode. It feels a bit unnatural the first few times and I was afraid I would break it. Once I had gotten comfortable with changing it from notebook to tablet, I started experimenting with the different positions such as having it placed with the keyboard facing the desk and the screen sitting up. This would be particularly useful for those who use a stylus to draw on the screen. It’s a very lightweight machine and is compact so I can see how this is being aimed at business users who might work on the move and travel around a lot. It has two USB 3.0 ports and a microSD card slot. There’s also a headphone jack and two USB type-C ports. What really impressed me about this computer was the long battery life. I used it for around 5 hours one day and 4 the next and the battery still wasn’t depleted. It would be ideal for the average person’s working day and could be charged overnight then used again the next day without interruptions or having to look for power points while out and about. This is the first time I’ve used a laptop with a backlit keyboard. I know this isn’t really brand-new technology but I’m late to this party. I personally didn’t find it useful because I’m a touch-typist and never look at the keyboard so it was a bit distracting to have lights down there but I can see how it will be useful to the majority of people who do need some keyboard visibility and work in dim light. The first thing I did after switching it on for the first time was search for how to switch off the backlit keyboard. I didn’t find out so I had to get used to it. The keyboard has soft keys and it’s obviously more compact than a larger laptop. However, once I got used to the small size, it was a good responsive keyboard for typing with minimal clicking noise. Before trying the Latitude 5289 I did some research and heard that it could run hot so I was especially interested to see if that was true. I found that the device did heat up after a period of use and if someone is working constantly for a few hours at a time, this could be a concern. Overall, I really liked this computer. I can indeed see this being really popular with business users and it’s compact enough and light enough to be easily transported. I like the 2-in-1 feature but I’m not sure I like it enough to invest a grand in one yet, especially when an adequate notebook computer and a decent tablet as two separate devices cost considerably less than the 2-in-1s at the moment. I would consider it an excellent investment for those who can afford it but until the prices drop, 2-in-1s may remain a business-use item and not become the norm for recreational use. 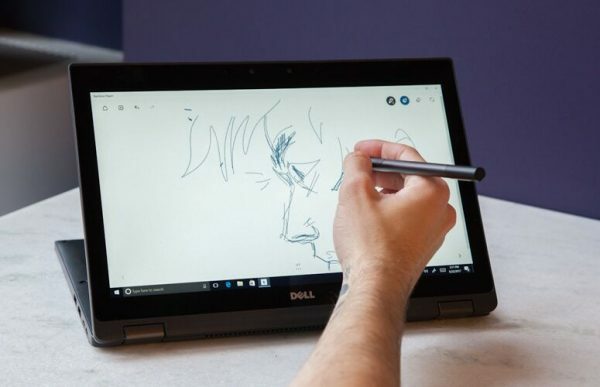 The Dell Latitude 5289 2-in-1 is priced from £977 for the device with the most basic specification up to £1347 for the most superior. 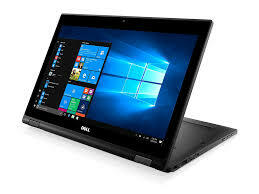 If you’d like to reach about the Latitude 5289’s specification you can do so by visiting Dell’s website.